"Has a great potential if they fix issues quicker"
- Easy to design screens. Drag and drop fields, rearrange them as needed. - Multilanguage - this is the primary reason why selected this product. - Use your own SMTP server which is great to minimize SPAM issues. They are knowledgeable, polite and follow through with the issues. - Good integration with other tools such as Zappier. - Plenty of examples to get you started. IMPORTANT NOTE: These issues have been shared with the vendor in December 2018. They have acknowledged them and promised to fix in future releases. - Once an issue has been found, there is no way to tell when it will be resolved. They don’t appear to have a helpdesk system in place. - Documentation, blogs are not up-to-date with the latest version. So this can be very frustrating as you can’t follow the examples. - Purchasing credits for things like rendering to PDF is simply a joke. This is a standard feature for many form vendors. - Form rules are someone basic. They don’t have ways to group fields into sections, hide pages, skip pages when conditions are met. - There is no way to mask numbers, so writing numbers with many digits is very difficult for users..
- Many currencies are not available. - Repeatable content field type continues to be in BETA mode. It has been like that for months. This feature is standard in many other vendors. - When adding multiple attachments, the form converts them into one single ZIP file. - Passing values from one form to another is very tricky. You need know HTML and be very familiar with exposing HTML code on the browser. - There is no audit logs, email logs, or garbage collector. If you make a change, it is instant and you can’t undo. - You need to contact support to see why emails were not sent. The lack of logging is incredible and there should be a way to see what happened. - There is no way to turn off validation while testing. So you can have fill out the forms over and over again. - If a user accidently clicks back In the browser, the full content is LOST. There should be a warning that you are leaving the form and to save it. Don't follow the documentation, it is not current and can be frustrating. Don't be afraid to contact support - very friendly, but work from EU hrs. Stay away from hiding/showing fields. It is very tricky. The form is very complex with many fields and needed to look very professional. The field types offered satisfied most of our needs. They even have a Google Map field that had exactly what we needed to pin the exact location of events. We also needed to be fully bilingual (French/English). So users can switch back and forward and also autodetect the browser default language. We needed to be white label so there won't be any reference to 123formbuilder in the domain or email. The SMTP settings were perfect to avoid SPAM errors. "Intuitive, Easy & Completely Cusomizable"
I really like that I can easily customize the forms to match my clients' websites exactly. Also, there are so many options available regarding fields - what, where, how many, radio button, dropdown, etc. One of my clients especially like the ability to have an email sent not only to their business, but to the person filling out the form as well. I do wish that we had the option for auto fill, but not by using LinkedIn (nothing against LinkedIn - I like it, but not everyone uses it, and so not all of the staff can auto fill their pay forms.) I vote for auto-fill for all! As I mentioned in what I like best, my client really wanted their staff to receive a copy of the form they submit for pay. Their old form builder could not do that. Also, their old form builder could not be customized to match their website. 123FormBuilder is superior! "If I would get all of my submissions... I'd love it. " Easy to create and edit forms... easy to understand... very user-friendly. I have three people designated to receive the form submissions. In the beginning we were getting them... all of them. Then... all of a sudden... we stopped getting all of them. One of us would get a submission and the other two wouldn't... or none of us would get the submission at all and would have to log in to 123 to get the submissions. OR... all of us would get the form. There is no consistency and 123 has been no help... telling us it's on our end... and we know it's not. We have been round and round with them... with our IT person giving suggestions to them... yet they continue to say it's us. So, every day, we log in to 123 to see if we have any submissions other than the ones we've received because we cannot trust that we are getting them all. We've gotten used to doing this, but shouldn't have to considering we are paying this service. Don't trust that you are receiving all of your submissions via email. Log into 123 every day. I wondered why I hadn't done this a long time ago. I was actually having people email me and then I would send them Word documents for them to complete and then email back to me. Finally, I bit the bullet and started creating on-line forms thru 123FormBuilder which was an app on Wix.com (where I have my website). The benefits have been huge in saving us tons of time and effort. "Easy, quick, efficiente form builder"
I have little computer skills, yet with this form builder, I was able to create a reservation form for my tour operator and collect information to send out payments and have my tours sold online without having to hire a professional to do it. I have no complaints about the form builder. I recommend this product, especially if you are handling your website yourself and dont want to hire a pro to do it . I have competitors that have hired professionals to do their webpage and yet cannot collect payment from their clients till the day they arrive, a lot of times they are left hanging, simply because they do not collect payment for their tours. This form allows me to add multiple sections to collect information and to clarify everything in order to send out an invoice to collect payment using paypal. Very eaasy for small business like myself to operate. I use it to collect information from clients wanting to book a shore excursion while visiting their cruise port where I supply tours to them. "Great app that’s integrated into Wix"
Easy setup and understanding is the primary thing. The free version is all what most small businesses need, but I hope that when the time is right for my company that I become their paying customer. Exporting, or sharing, the gathered submissions wasn’t as clear as I would prefer. However, even this aspect was easily figured out. "123formbuilder is a good fit for us"
The learning curve to use this is fairly easy. Mtg.Reg. emails-didn't know which to put them in-Wix or 123 formbuilder , so i put them in both, so i probably did double the work . Also, the self-service help files need better documentation. Responded very quickly in chat help. Custom solution was provided in less than 2 days. Adrian in Live Chat was very professional and clearly understood what I needed. He provided a custom solution in a very timely manner. We had to find a reasonable priced CME meeting registration software since our old one went to a monthly fixed pricing fee system instead of by the qty # of registrants. We had changed the website to Wix recently and 123formbuilder is compatable w/wix. There are many templates to choose from and there is the ability to copy forms (so that you don't have to rebuild - great for clients with multiple locations). Decent field options. We use these forms with many of our clients: order forms, special offers, employee applications, etc.n For each form you build - it tracks the submissions and you can generate reports and export data - that is a great feature. Looks and feels a little "old school" in comparison to our sites we use the forms on. When adding a field - it "adds" it to the bottom of the form and you have to drag it back up - that is incredibly annoying. Limited in the design although there is an html block field. There are some workarounds you have to figure out on your own to get the best use out of this product - but it is worth it. Definitely upgrade from the free version to get the most out of this (very affordable) and be sure to utilize the apps! Providing an easy, "no muss, no fuss" option for building forms for our clients. Provides excellent tracking & reporting and utilizes google analytics. We do offer the functionality to drag fields where you need them on the form, without having to go through the scenario that you have described. Regarding the design aspect, we're continuously working on improving it. And we like receiving feature suggestions from our users. So, if there's anything you'd like to add more on this topic, we'd love to hear your ideas. Just drop us an email or contact our Support team. Happy to help you achieve your results. Thank you for choosing 123FormBuilder. "Some good features, not as user-friendly as would like"
We used this formbuilder for event registrations. Compared to our previous registration software, this on had much lower reg fees and we were happy to pay so much less. Building a form is pretty straightforward and easy to figure out, and we were able to get registrations up and running very quickly. There are so many features that are lacking or made our registrations annoying. For example, there is no way to search through a list of form submissions for specific registrations or attendees. If needed to look up a specific attendee's registration, there is no way to do that without generating a whole list. Generating a list of attendees was much more complicated than it should be. It also had some weird feature where our attendees could register without paying, which should have been an easy fix, but we found that there wasn't a way to change this and make payment mandatory. We were able to use a registration software for much cheaper than our previous software, and it saved us a lot of money. Unfortunately it did not have all the features we needed and we will be switching to a different system again. "Wonderful Company to Use for Forms"
5- Their forms can be very elaborate if you need them to be. I have with them now for years (at least 5) and never been disappointed. Go for it! This is a wonderful company. Go fo ti! At first, when I started with WIX, they have a special of 5$ for a limited "bronze" version of 123 contact forms. I used it for a long time... but I always hated it. missing features that make forms interactive and fun. *MIssing "picture selection" was big for me... I want my user to select a picture as a choice. with 123form, you can't do that, you need to add a picture (which counts as one of your items) and then make another multi choice of dropdown and ask what picture they want to use. not very elegant. everytime I contact support... they were no help, sometimes even rude. oh, and RULES! very limited, you need to pay so much more for a few rules. JOTFORM, CHEAPER, UNLIMITED RULES, HAS INFINITE AMOUNT OF MORE OPTIONS! Typeform.... OMG... typeform > 123contact. all I need was 1 form on my website to collect client information for an event. 123form was too limited in 1) the options I needed, and 2) the amount of "items"/questions I could add. "Great, but could be better"
The ease of use when building a form- everything is pretty straight forward. Can Upload multiple forms- which is very very helpful. How long the load times are on mobile devices( granted worth the wait, but still...could be an issue with wix and not the form builder thou ? ) and how old school it looks- would really like something a bit more sleek or "non- Html looking"
Getting applications from candidates as a recruitment company is very difficult online- but this makes it very helpful and easy. "Forms Always Have Issues, but the customization is worth it"
The customization of the forms is awesome, I wish I didn't have to dig in to CSS but the end product is worth it. The forms have been down multiple times, prompting angry calls from our customers. It’s a very powerful form tool that’s easy to use once you get the gist of it. We have had a few bumps with forms going down but their support team is always ready to dive in and fix the problem ASAP. Easy to create new or duplicate old forms, fast and easy especially when we're on a deadline. We apologize for the downtimes. We do our best to improve our servers, as to avoid this kind of problems from happening again. We've made some updates since then and the forms should be working better. If there's anything else we can help you with, you know where to find us. Thank you for your review & for choosing 123FormBuilder! "Great way of let my clients customize their own contact info"
"123 Formbuilder - intuitive, feature-rich, excellent!" I love how intuitive the interface is, how easily configurable it is. The best bit is that you can pre-populate the contact form fields when you link to it. 123 Formbuilder was exactly what I was looking for. An excellent site indeed. There is nothing I dislike. Highly recommended. 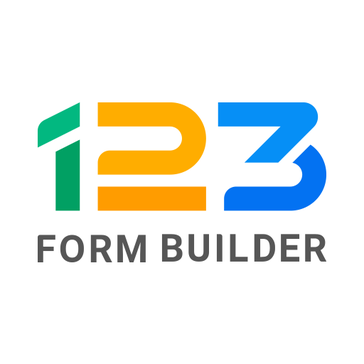 "Good form builder with lots of integrations"
123contactform offers a cost effective form builder that is extremely versatile. You can use it for a simple survey, event sign up, online merchandise sales, contact forms, or sign ups for email newsletters, just to name a few possible uses. There are tons of integrations with other services including payment processors, Google services, email marketing services, and more. The software is occasionally buggy and has odd errors. Sometimes they self correct, sometimes the 123contactform support staff needs to address it. This software lets me do a lot for my small nonprofit - events exhibitor registration, membership renewals, donations, online sales, inquiry tracking, and much much more. It ultimately saves us a lot of time. use the 123form wordpress plugin to easily integrate into your website. research all the hidden options--the autoresponse customization etc. "Easy to learn use and edit." I needed to make forms for employees to report activity and data. With 123 I can edit one form to use for other, similar uses. The lack of a 'look up' function to pull employee information off a database. My employee enters a unique ID and the form populates many of the fields. I have to use Caspio then link it to my form. It enables our employees to report data from many devices. "Easy form creator with lots of options"
MailChimp integration could be improved by allowing several rules for data import. Set up was super easy. Sharing the link on digital flyers and/or alone in a text, email, etc to register for my events is even easier. Clicking on my email to retrieve, view, and share the incoming registrations...easiest part of the process. VERY happy with this product. I guess,....nothing! I have not encountered any problems or roadblocks. I am able to coordinate events without an extra person and/or extra step. It is easy to créate questions, and easy to handle. Also it sends an e-mail with the answers not needing to upload and see the answers. is just for grading the Service we offer. Accuracy, I never experience any discrepancy in forms. Organization of forms is not very organized. UI is starting to feel outdated compared to competitive form builders. Lead capture. Can quickly set up an event specific form in about 30 seconds for trade shows. "Good product, but has flaws and terrible support"
The rules have flaws and support is always offline. Very slow in responding and resolving issues. "123FormBuilder did what it said it would do"
I liked that the app was intuitive. It was easy to set up and use. We are gathering the all important contact info, employment, and quote data needed to help grow our business. Easy to embed forms; lots of options for form fields. It is sometimes buggy and difficult to fix (especially with field validation). Also not the best with mobile. Collecting information from email subscribers. "Perfect for my small form requirements"
I like the free option that suits my requirements. I was not able to generate a professional page look, but it's ok.
Have a look at ActiveCampaigns and what they are doing as I have to use both services for my needs. "Easy to use. Quick reporting"
I love that I get feedback immediately and that I can make various types of forms. I'd like to be able to integrate the form using a qr code from your site. We are registering for meetings. We know who is coming. Data Security, Time-saving, Data management. These are three core elements that our business need to cover and eventually we found a proper partner. I would like to see more design instruments. Time saving and data collection. "Very user-friendly and yet powerful tool"
"My experience with 123Form Builder has been really good. It's been very easy to use." For now I'm a very small business so it's great to have a free platform to use and once I grow, i'll have the need and funds to upgrade. I haven't experienced anything I have liked. I has allowed me a way to capture registration for workshops. It's so much better than having to do it all via email. App for wix - is somewhat limited in features. * We monitor all 123FormBuilder reviews to prevent fraudulent reviews and keep review quality high. We do not post reviews by company employees or direct competitors. Validated reviews require the user to submit a screenshot of the product containing their user ID, in order to verify a user is an actual user of the product. Hi there! Are you looking to implement a solution like 123FormBuilder?